New Jersey has been swaying back and forth for some time now over whether to keep or repeal its blue laws – the laws banning Sunday trading and the sale of furniture and clothing and, subsequently, electronics and motor vehicles. Both sides of the debate have been putting forward valid arguments. When they first originated sometime in the mid-19th century, the blue laws had religious connotations and operated in a very different society from today’s. According to a law written in 1937, a “disorderly person” selling a motor vehicle on a Sunday could be fined up to $100 fine and face 10 days in prison. The truth is, however, that in 2011, a law was passed in New Jersey permitting motorcycle sales on a Sunday. And out of the 21 counties in the state, only one, Bergen County, is still reluctant to see the law repealed. Yet, paradoxically enough, Bergen County auto dealers sold more than 80,000 vehicles in 2012, which is the most in five years. Many argue that lifting the ban would boost the local economy and job market. Those on the other side say that Sunday is a traditional day for rest and spending time with one’s family and that repealing the laws would destabilize the county’s competitive climate. The issue will get resolved eventually, but the bottom line is – a used and new cars auto dealership is an attractive line of business. For those who want to go into it, read further to find out what it takes to get licensed and bonded in the state of New Jersey. To obtain a license for a used cars dealership, you need to provide evidence that you have an established place of business, including an equipped office, landline telephone and a safe for storage of documents. Naturally, in order to sell new or used cars, you are required to have a showcasing spot for a minimum two vehicles. An exterior sign with legible lettering, and one visible from the roadway, must be affixed to the building or the land. Make sure, however, to study all local ordinances regulating signage. When you are filing your application, you will have to include the original of a manufacturer’s certificate. Proof of fingerprinting would also be required as well as a copy of the deed or lease for the licensing of the premises. Don’t forget to include a copy of the landline telephone bill for your business location. The application fee is $100. The state of New Jersey requires a surety bond to the amount of $10,000 for a 12-month term for any new and used cars dealership. When it expires, it must be renewed for another 12 months. The bond must be issued in your business name and address. In addition to the bond, however, there is some liability coverage to the minimum of $100,000 per person/incident; up to $250,000 for bodily injury or death; $25,000 for property damage and $250,000 combined personal injury and property damage per incident for all owned or fleet vehicles. It is necessary that the insurance certificate contains a 30-day cancellation clause. Nobody is perfect, so if you have bad credit it can be difficult to get bonded, but not impossible. There are two instances in which you are going to be denied bond for a new or used cars dealership – late child support payments and open bankruptcy. However, take advantage of the bad credit surety bond program offered by Bryant Surety Bonds, Inc. and file an application for further information. Got it. I want to apply now! Your license may be suspended or revoked if you try and sell from any non-licensed location, but most importantly – failing to maintain detailed records at that location. Also, make sure you are in possession of all vehicle titles and don’t misuse re-assignment and temporary re-assignment certificates. 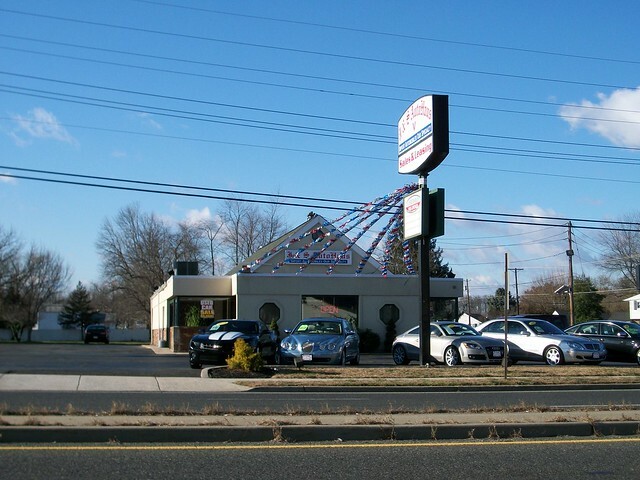 New Jersey Car Dealers: Have You Started Your Bond Renewal Applications?